Here goes, it’s that time when you look forward to all things new and we set ourselves some targets…so here are mine. I guess I should start with school. So where do I see my school in a year’s time? We’ve made huge changes in the past term buying two netbook trolleys, redoing the whole network and beginning our curriculum change so what could be next? I need to change the ICT curriculum. I also need to ensure that e-safety is fully embedded thoughout the school. 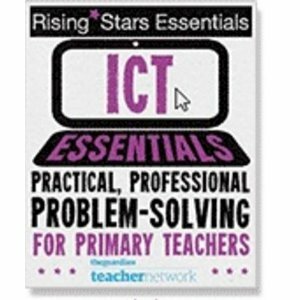 This will be a mixture of existing plans from other schools, new plans that I have written and some plans taken from Rising Stars’ new Switched on ICT scheme of work. I’ve been lucky enough to see a bit of this and it looks very exciting. Some of this will slot in very nicely at my school. I wrote in the Summer about my Google/Live domain dilemma. Do I go with Google that looks all nice and configurable or do I go with the county decision and use Live@edu? After all I helped choose Live@edu, for reasons I discussed earlier. I had sort of decided to stick with the LA, I’d be a pilot school and would be able to change things if I needed. However a few months after it was due to be launched we’re still sitting and waiting. We might know more at the end of January, but you never know, it could be delayed again. I’m thinking that I need to have one or the other installed by March so I have a month or so to play and test with a small group before slowly dripping it out to staff over the Summer term and launch properly for September. So let’s hope that within 3 months I can update you on our position. At the end of the day, I’m going to use whichever matches the need of our school, our staff and our children. I wrote a few weeks ago about my plan for the Digital Leaders, this is one of my favourite plans of the year. I can’t wait to see what this small group of children will achieve. Let’s hope they tell you all about it soon. I don’t think we’ll be getting any new software over the next year, it’ll be more about using what we already have and making the most of it. This will of course include lots of different web2 tech as well. I have already been given the go-ahead to start investigating using 13+ sites with our primary children. This will obviously be dealt with very carefully to ensure that our children are sfae and not subjected to any possibly dodgy libraries e.g. flickr or vimeo, but can use tools such as Voki and goanimate. I also want to fully extend our se of tools such as Purple Mash, BrainPop and J2E. Probably no new hardware this year either. 2011 is about using out 68 netbooks to their full potential. We might get a few more cameras or visualisers, but it’ll be smal rather than big purchases I think this year. I’ve spent some time recently looking at a number of frameworks. Now this isn’t to get the badge as such but I have found the 360safe and ICT Mark frameworks very useful in finding ways to improve ou ICT use. We have also been given the Data for Improvement guidance to ensure we are getting the most from our MIS system. These have helped to fine tune the ICT action plan for the school and I hope by the Summer we are in a position to have covered most of these frameworks and to have a clear plan of how to move forward. I also want to introduce ICT assessment across the school and ensure children are aware of how they can improve their use of ICT and be able to self- and peer-assess. In one term we have had 43,000 visits to our blogs (well 43,000 page views). This is massive but really only a few teachers write blog posts at the moment. I would say only 2 are completely independant. We have 11 classes plus a few other areas too so the only way is up. A low estimate would be to get to 150,000 by the end of Summer. With the children’s help, we will ensure that the teachers are confident blogging and sharing with their class and with their parents and this will hopefully lead to further links with other schools. I also want to get a class or two using Twitter. One class has just been given a few netbooks to have in their room permanently, so maybe I can convince her that writing for an audience will be a great little idea. Obviously Bett stuff is quite high on the list. I am doing a presentation for 2simple, hopefully another for Scholastic and then spending some time with Brainpop. I will also be presenting at a Teachmeet Takeover and helping to organise, and presenting at, Teachmeet Bett. All in 3 days. After Bett there are a number of other challenges and opportunities. I am running staff traning for 4 other schools within January alone, I am attending and presenting at an SSAT event at the end of January and have been invited to present at the Northern Grid Conference in the Summer. I am also running a couple of courses on the use of social media (Hampshire people, check here). Of course the big one for me personally is Teachmeet. I want to have another Teachmeet before Easter and hope to have details of this within the next couple of weeks. They’re always so much fun and I hope lots of people can get involved. After the house move and engagement last year, there are hopefully no big personal events this year. The most I will be attempting is to lose weight and get into some kind of shape for the wedding in 2012. The Weight Loss Challengey Thing (wlct) already has over 30 people taking part. Which means we should be able to support each other as we move towards our targets. I’ll also be attempting a run or two this year and will be in the Great South Run again in October. So what are your targets or resolutions? These are just the ones that spring to mind, I’m sure there are other things I will be doing that I’ve missed out! I’m really interested to know your opinion of the new Rising Stars ICT scheme – it sounds really good!